Ian Lougher will once again race the two-stroke Suter MMX500 at TT 2018. 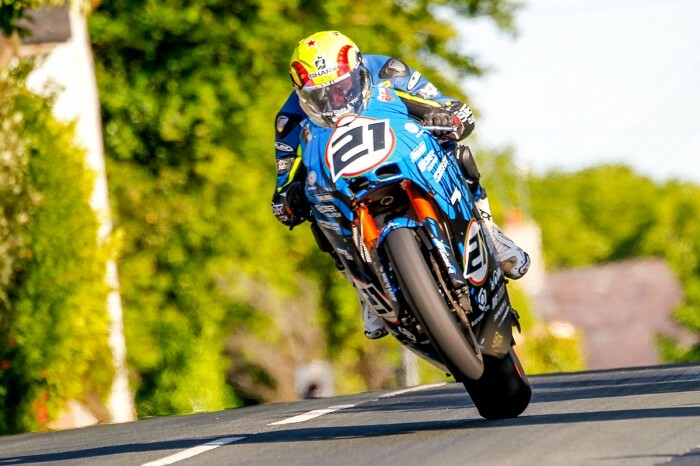 Lougher’s 2016 TT experience with Suter saw him lap at over 121mph on the prototype machine on his way to completing the PokerStars Senior TT Race. The Welshman is one of the most experienced road racers in the world and in addition to his ten TT Race wins he also has 8 wins at the North West 200 and 18 wins at the Ulster Grand Prix in his career. The Weslhman took his first TT victory in the 1990 Junior TT in one of the closest races in the event’s history, winning by only 1.8 seconds from Steve Hislop, setting new race and lap records that weren’t beaten for nine years. His near 30-year TT career, between 1984 and 2013, included 130 starts and the most replicas awarded to a TT rider before retiring after the 2013 Senior TT, although the 54-year-old continued to race on the TT Mountain Course in the Classic TT, before returning to the main TT event with Suter in 2016. “It goes without saying, I am excited to be racing the Suter MMX500 again at the Isle of Man TT Races. I feel that after all the hard work put in by the entire Suter team and myself, it’s very much unfinished business and I can‘t wait to go testing,” said Lougher.